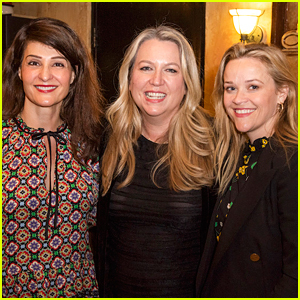 Reese Witherspoon poses for a photo with Nia Vardalos and author Cheryl Strayed at the opening night performance of the play Tiny Beautiful Things on Sunday night (April 14) at the Pasadena Playhouse in Pasadena, Calif. The play was created and conceived by Nia based on the best-selling book written by Cheryl. You might remember that Reese played Cheryl in the movie Wild and earned an Oscar nomination for her work. The stage version of Tiny Beautiful Things is running now through May 5 at the Pasadena Playhouse. Busy Philipps, Nicole Richie & More Support Nia Vardalos at 'Tiny Beautiful Things' Opening Night! Busy Philipps happily strikes a pose with Nia Vardalos while attending the opening night performance of Pasadena Playhouse presents The Public Theater Production of Tiny Beautiful Things on Sunday (April 14) in Pasadena, Calif. 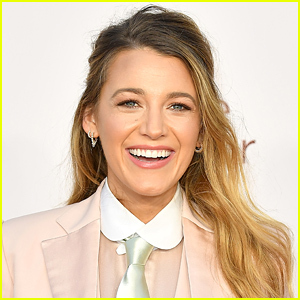 The ladies were joined at the event by Nicole Richie, Rita Wilson, Adina Porter, Marcia Gay Harden, Alfred Molina, Beth Grant, songwriter Diane Warren, Mindhunter‘s Nate Corddry and Mayans M.C.‘s Danny Pino. Nia reprises her role of Sugar for the Playhouse production, she originated the role of Sugar at The Public Theater under the direction of Thomas Kail. Nia also created the stage adaptation of Tiny Beautiful Things based on the New York Times Bestseller of the same name by Cheryl Strayed – the performances run from Wednesday, April 10 to Sunday, May 5! Eva Longoria and Rita Ora wear all black while stepping out for the 2019 Women in Film Oscar Party on Friday night (February 22) at Spring Place in Beverly Hills, Calif. 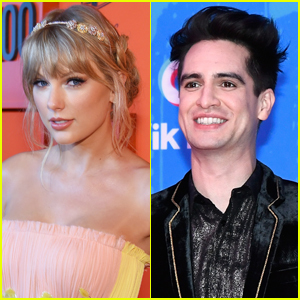 The party was a star-studded event and some of the other celebs in attendance included Lake Bell, Danielle Macdonald, Justin Baldoni with his wife Emily, Garcelle Beauvais, Kimiko Glenn, Amy Landecker, Nia Vardalos, and Mishel Prada. Young Hollywood was represented by Alexandra Shipp, Madelaine Petsch, Rowan Blanchard, Haley Lu Richardson, and Peyton List. FYI: Eva is wearing a Lela Rose top. Rita is wearing a Jaime Major dress, Giuseppe Zanotti shoes, and a Hearts on Fire ring. Lake is wearing a Solace London dress. Alexandra is wearing a Markarian dress and Malone Souliers shoes. Madelaine is wearing a Georges Hobeika dress and Christian Louboutin shoes. Danielle is wearing an Eloquii suit and an Artifact Eight clutch. Haley is wearing a Paco Rabanne dress and Jimmy Choo shoes. Rowan is wearing a Reem Acra dress. 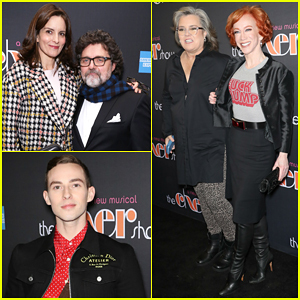 Tina Fey happily strikes a pose with Jeff Richmond at the opening night performance of the new Broadway musical The Cher Show held on Monday (December 3) at the Neil Simon Theatre in New York City. 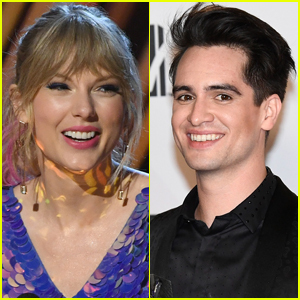 The Mean Girls on Broadway creators were joined at the event by Adam Rippon, Rosie O’Donnell, Kathy Griffin, Cody Simpson, Bernadette Peters, Hoda Kotb, Nia Vardalos, Orfeh, Andy Karl, Ashley Park, Erich Bergen, Jessica Keenan Wynn, Keegan-Michael Key and his fiance Elisa Pugliese. Also in attendance at the celebration was Stephanie J. Block, Teal Wicks, and Micaela Diamond — the three actresses who play Cher in the musical. The Cher Show includes 35 of Cher‘s smash hit songs and follows six decades of stardom, two rock-star husbands, a Grammy, an Oscar, an Emmy, and all of Bob Mackie‘s incredible gowns. Chrissy Metz and Maya Rudolph walk the carpet at the opening night performance of the Tony-winning musical Dear Evan Hansen‘s tour production at the Ahmanson Theatre on Friday (October 19) in Los Angeles. Also in attendance at the performance were Dancing With the Stars‘ Milo Manheim with mom Camryn Manheim, Moana‘s Auli’i Cravalho, The Good Place‘s D’Arcy Carden, and My Big Fat Greek Wedding‘s Nia Vardalos. 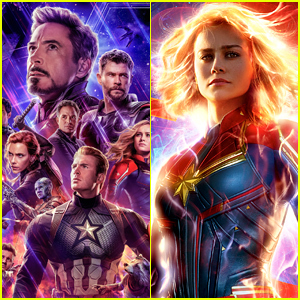 More stars included Barrett Foa, Tracie Thoms, Lea Thompson, Ali Wong, Modern Family‘s Aubrey Anderson-Emmons, and Young Sheldon‘s Iain Armitage and Raegen Revord. The tour of Dear Evan Hansen will be running at the Ahmanson until November 25. 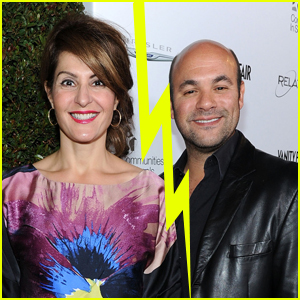 Nia Vardalos and Ian Gomez are addressing their divorce in a joint statement obtained by JustJared.com. It was announced on Tuesday (July 3) that Nia filed for divorce after listing their separation date as June 29, 2017, after 24 years of marriage. Nia and Ian share an 11-year-old daughter, Ilaria Vardalos Gomez, whom they adopted in 2008. She is asking for joint legal and physical custody of their daughter. The couple married back in 1993 – which helped inspire her hit film My Big Fat Greek Wedding.